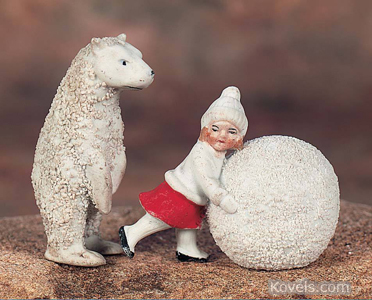 Snow Babies, made from bisque and spattered with glitter sand, were first manufactured in 1864 by Hertwig and Company of Thuringia. Other German and Japanese companies copied the Hertwig designs. 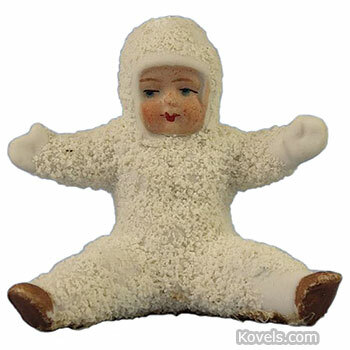 Originally, Snow Babies were made of candy and used as Christmas decorations. 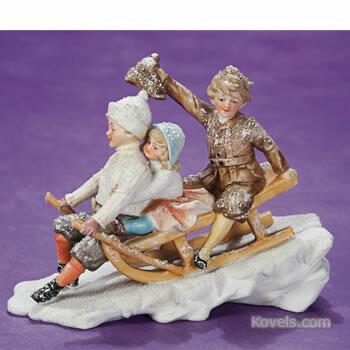 There are also Snow Babies tablewares made by Royal Bayreuth. Copies of the small Snow Babies figurines are being made today and a line called "Snowbabies" was introduced by Department 56 in 1987. 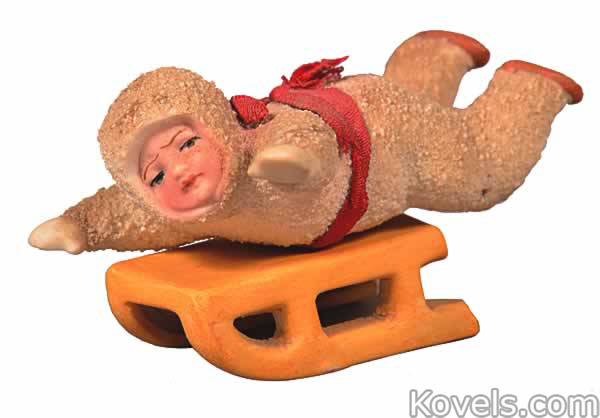 Most of the Snow Babies listed are from the early twentieth century.